HPS Silicone Hose - Straight Tube UNIVERSAL - Dezod Motorsports Inc - Home of the automotive performance enthusiast since 2002. HPS Silicone Coupler Hose features multi-ply reinforced high temperature material, for which meet or exceed SAEJ20 Standard. HPS silicone hoses are made of reinforced and knitted premium polyester fabric with high temperature silicone rubber, engineered for extreme temperature and various pressure ranges where high performance levels are required. 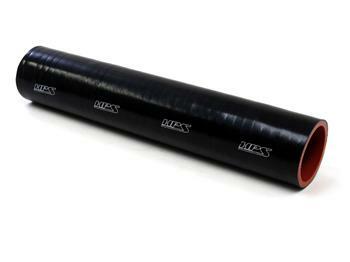 HPS High Temp Reinforced Silicone Straight Coupler Hose available in 1 foot and 3 feet length, for which can be cut into any length and is commonly used for joining two hard pipes while reducing the possibility of connections coming apart or having your hard pipes or other equipment break. HPS Silicon Tubing Hoses are used by professionals in industries such as high performance racing vehicles, commercial truck and bus, Marine, agricultural and off highway vehicles, turbo diesel, food and beverage, and general manufacturing industries.